vMix software for video switching and streaming. vMix is software that allows you to create professional quality productions on your own computer at a fraction of the cost. vMix gives you the power to add multiple cameras, videos, images, audio, web streams, Powerpoint, titles, virtual sets, chroma key, and much more to your production. You are then able to display, record and livestream your production all at the same time! vMix can be used in large-scale multi-camera events or simple webcam one person productions. There is a one-time payment to use vMix so you don’t need to pay a yearly subscription fee. Once you pay for vMix you also get free Version upgrades for 12 months! After the 12 months, you can pay a small upgrade fee to have the latest and greatest version of vMix. We offer various versions of the vMix software with expanding capabilities, as well as hardware that uses the software. From the compact and portable vMix Go! line to the Stream Breeze series of computers, we have something to fit every budget and situation. We also are the ONLY Premium Support dealer in Florida. But don’t worry, we can help you out even if you’re located in another state or even another country! You can rest assured that when it comes to vMix, we are on top of it! Take the headaches and hassles out of having to learn how to operate your vMix software based system. 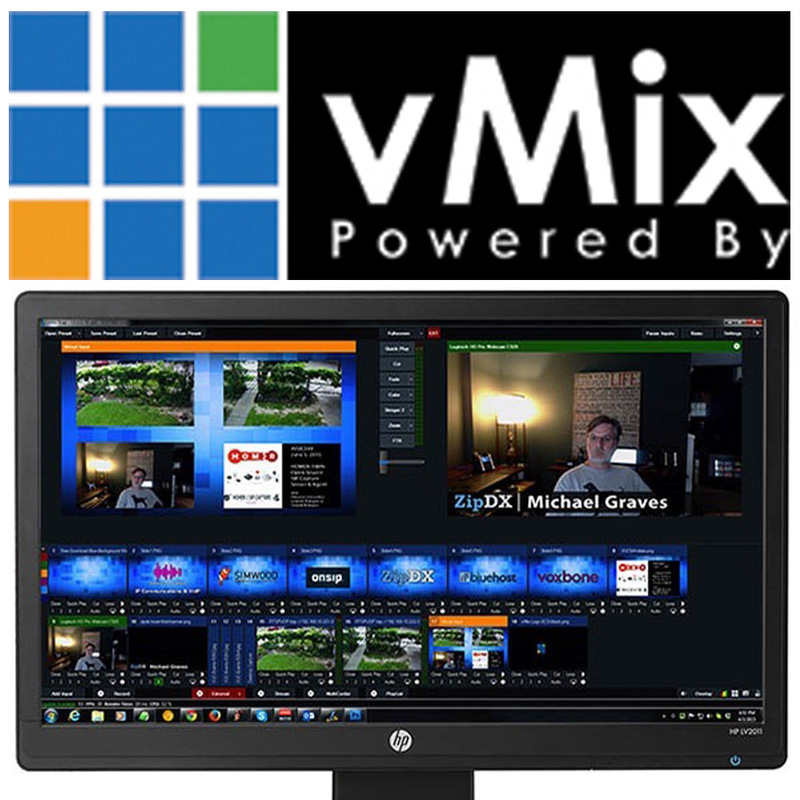 Hi-Tech’s vMix live support training will show you the tips and tricks only the pros know. Whether you need to master a specific task or just don’t want to read the manual, Hi-Tech can show you how to do it in no time. Find out more. Easy switching of many live camera inputs (only limited by your hardware/processor capabilities). 4 overlay channels – useful for lower thirds, picture-in-picture-scoreboards, etc..
Variable-speed slow-motion Instant Replay (Replay version). Controllable through a remote web interface – perfect for smartphones and tablets. Iso recording – record each individual camera input in addition to the main output. Live streaming – send your program output directly to the internet to reach a larger audience anywhere in the world. Support for hardware controllers such as Contour Shuttle Pro, Akai APC40 and more. Video Cameras – 4K, HD and SD capable. Support for Webcams and capture cards. NDITM – Send and receive high quality, low latency video and audio on the local network between vMix systems and any NDI compatible sources. Video Files – Support for all popular formats including AVI, MP4, H264, MPEG-2, WMV, MOV and MXF. DVDs – With menu navigation. Audio Files – MP3 and WAV. Audio Devices – Mix multiple audio sources such as SoundCards, ASIO Audio Interfaces, and capture card audio. Video and Audio PlayLists – Combine multiple video and/or audio files into a single Input.